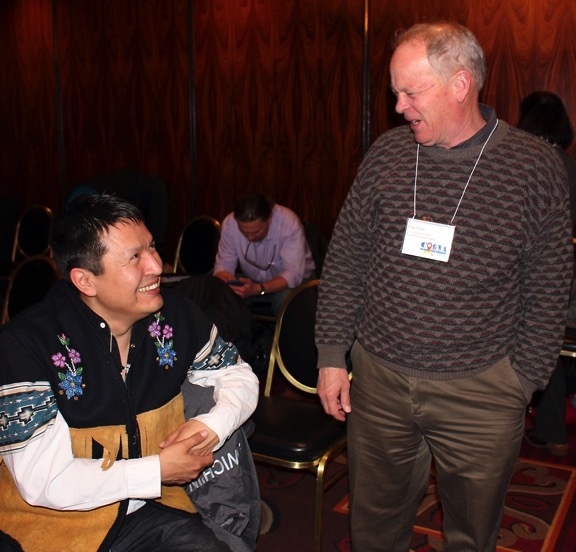 Garry Njootli and Lou Yost, during a break at the Alaska Native Place Names Workshop, Anchorage, Alaska, April 29, 2015. Njootli is the Yukon Toponymist, responsible for reviewing place name submissions sent to the Government of Yukon’s Heritage Resources Unit. Yost is the executive secretary of the U.S. Board on Geographic Names, a federal body created to maintain uniform geographic name usage through the federal government.